A few weeks ago when I went to Chicago and I did something I thought I would never do. I’ve always thought tattoos were neat, but I could never pin point something that I wanted on my body the rest of my life. I’d think, “Would I still like this when I was old, wrinkly and gray?” Probably not. But for many months, I talked to my best friend, Julia, about how it was something I wanted to do and we planned to go together when I got to Chicago. Now I knew there were a few things I wanted out of this tattoo. 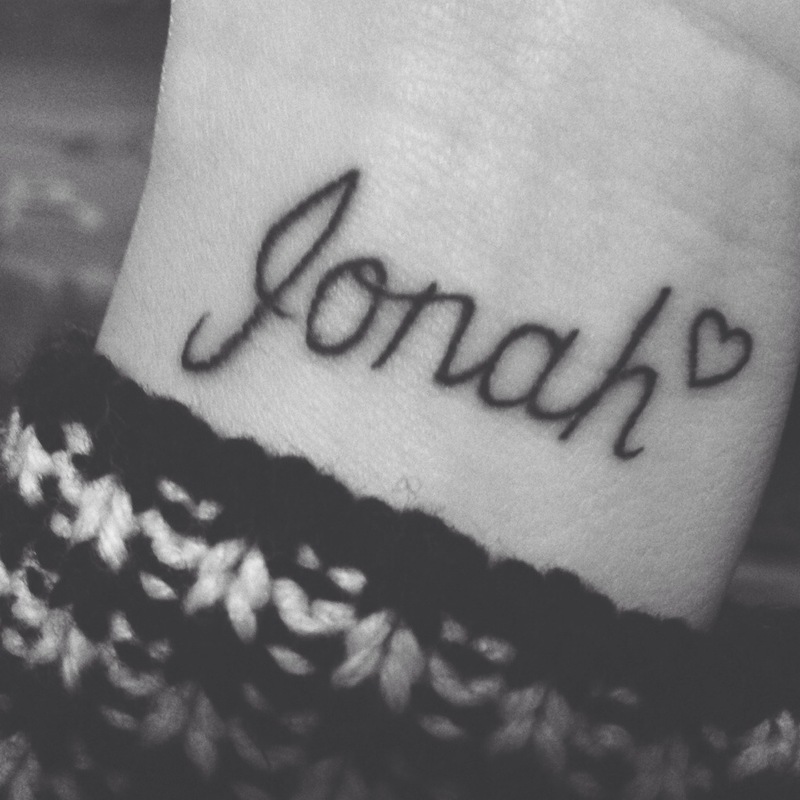 I wanted Jonah’s name (not just a J because my last name is Johnson) and I want it to be on my wrist facing me. I wanted to be able to look down every single day for the rest of my life and be reminded of the sad times and also the happy times with Jonah. I want to be able to look down and smile too. My dad couldn’t believe I went through with it considering the location and the pain, but it didn’t hurt. I have gone through more pain this year then most do in a lifetime. All in all, I want to carry Jonah with me. I carry him in my heart. This entry was tagged art, baby loss, Bodyart, E.E Cummings, ee cummings, grief, heart, Jonah, pregnancy loss, stillbirth, stillborn, Tattoo. Bookmark the permalink. It looks great, I love it. Thanks 🙂 I have thought about that too and it does seem more difficult on your end with Blythe. I figured I would tell my kids someday that I didn’t get to watch Jonah grow up and it made me very sad. So I wanted a reminder to look at. That way, every time I was doing something I would think about what it would be like if Jonah was doing it with me. Hopefully my other kids someday understand and don’t come home with a bunch of tattoos because their mom has one! I thought about that too! Lol. I was going to just do an anchor too. They are beautiful and if you look up pictures of anchor wrist tattoos on Pinterest – there are so many beautiful ones! Which is perfectly logical and reasonable, which are two things most six year olds aren’t lol. I always have to be careful of appearing to love taidgh more. I thought I’d seen one with ‘my anchor holds within the veil on it’ but now I can’t find it. I may ask my friend who did the lettering on taidgh’s box to work on something. I love it. It’s a beautiful reminder of Jonah. I’ve been thinking of getting a tattoo for Noah too, but I haven’t decided what or where. Thank you! I researched for a long time to make sure I was doing the right thing. 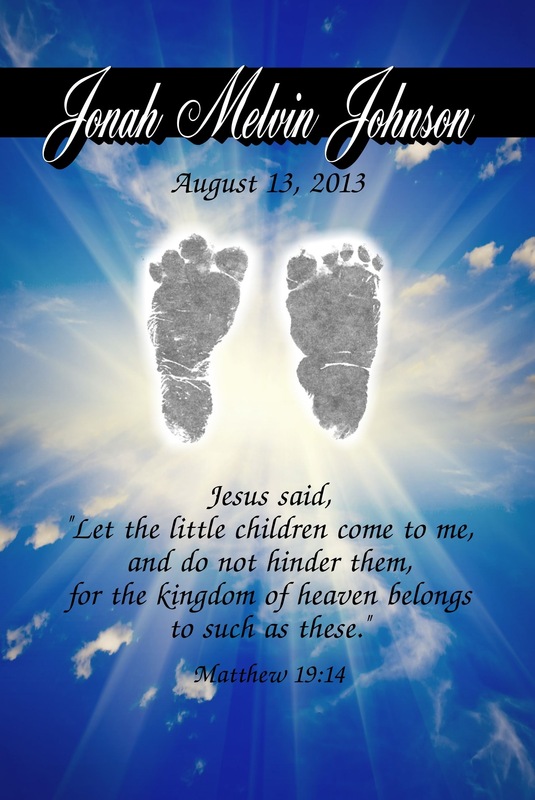 Thinking of you and Noah!!!!!!! I’m not really either, but this was something I wanted. Thank you! I wandered over from Stirrup Queens. You write beautifully. I love that e e Cummings poem, too. Angel Jonah picked a great person to be his mommy! I love it! I don’t have any tattoos either and this has been the first thing that I deemed “tattoo-worthy”. but I think I’m still too chicken. It’s beautiful.